SUMMER ENTERTAINING: FOOD & BEVERAGE — The Event Firm Inc.
Summer is here and you don't want to miss out! 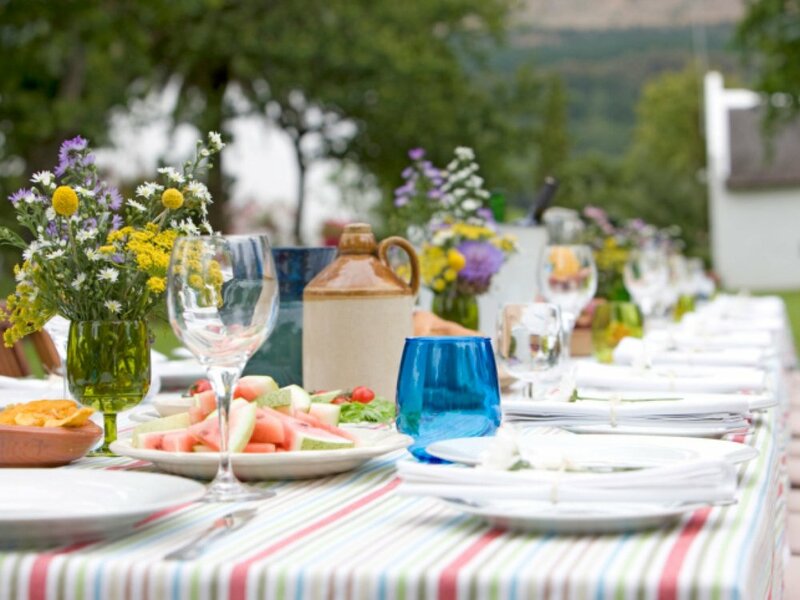 Dig out your outdoor furniture, spruce up the backyard and start planning your next dinner party! I love my outdoor space! Many of us find peace and solitude sitting on the back deck, with a drink in hand, listening to cool vibes from a summer playlist, reading a good book or just enjoying the time with family or a good friend. Summer is ready for you, are you ready for it? Entertaining can be super satisfying to some, and completely nerve wracking for others. We are going to attempt to take some of the heat off your shoulders and make it so that all you'll want to do this summer is host and entertain! No they are not looking under the couch to see if you have vacuumed this week or not! Food and drink is the common ground between host and guests, because everyone eats and drinks! If they came, they want to see what you came up with, so that they can plan their next dinner party accordingly! A friendly competition of showcasing cuisine talents is OK and recommended! Bring your appetite and be prepared to eat! Summer is bright, energetic, colourful and hot! With the summer heat, anyone attending will definitely come with an appetite, but do you really want to serve your guests a big pot of piping hot spaghetti? You'll be slaving away at the stove all day, adding to the humidity- which is not good for anyone's hydro or your hair for that matter! Keep it light and refreshing! Make smaller canapés that are flavourful and memorable! Hors d'oeuvres are trendy, easy to prepare and easy to replenish. Most of these pint size bites do not require major preparation. Make them that day, a few hours before or as you go, to keep the flavours as fresh as possible! I've seen a million ways to prepare a skewer. The funny thing is that the skewer originally started as a way to char meat and vegetables over a flame. Since then, it has taken on a whole new level of deliciousness! Try our suggestions below at your next party. 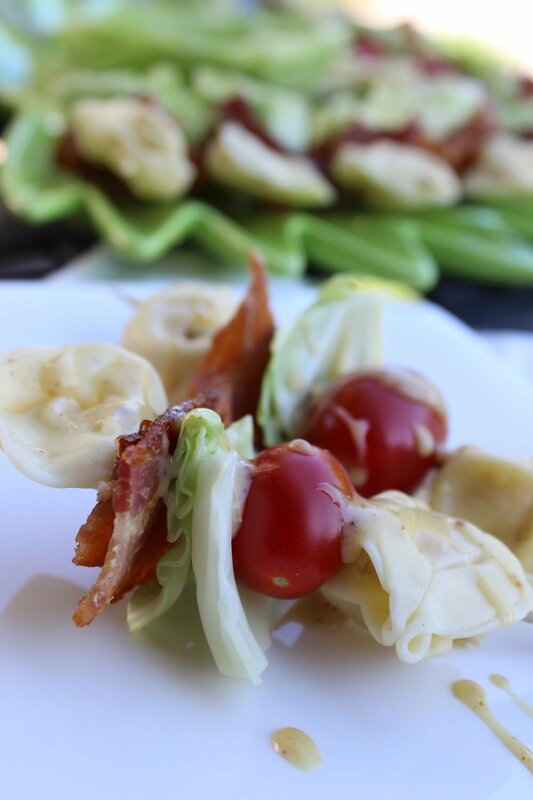 These ideas are fun, cost effective- easy, DELICIOUS and guaranteed to be a dinner party hit! BLT: keep it bun free! Iceberg lettuce, bacon, tomato, drizzle with blue cheese dressing and blue cheese crumble or have dressing optional and have it available for the skewer to be dipped into. * skew them with bamboo skewers, tooth pics, herbs (or get creative) and place gently on a serving platter. Pass them around or lay them out, out direct heat, of course! In order to maintain a clean palate from all of these delectable bites, you may want to offer an awesome summer drink! Whether its a traditional alcoholic favourite or a non alcoholic with a classy twist, remember, it's all about presentation! One good way to stay hydrated and to make sure that your guests are constantly being served without you having to service them, is to create a station for self service drinks. Mix and Match garden cocktail bars are also really in right now! It gives your guests plenty of option, requires a bit more work on your end in regards to presentation and setup; but the result is fabulous! 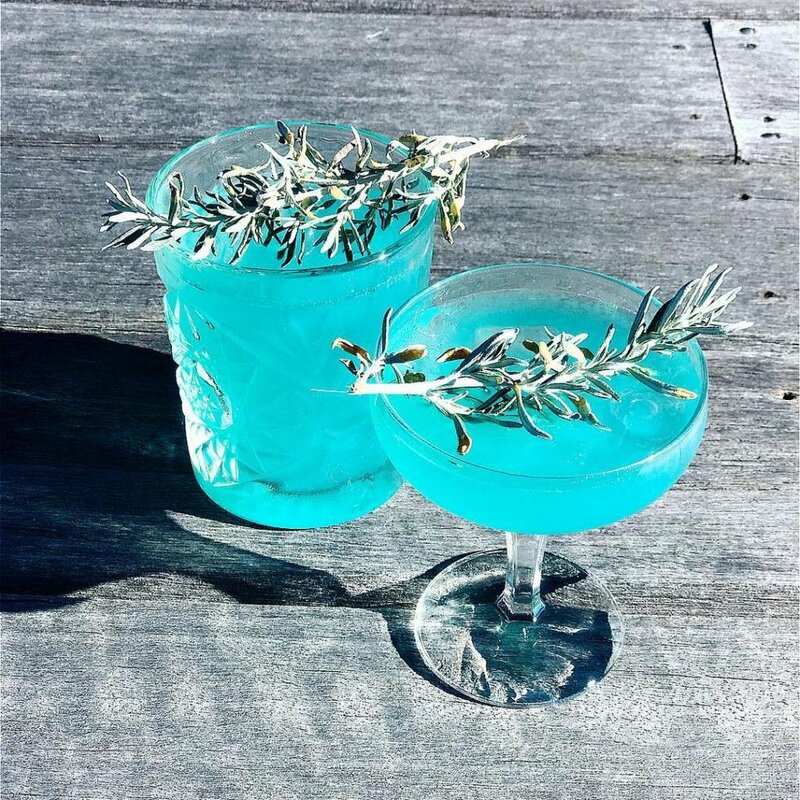 It encourages your guests to get creative, to be social and interactive with others and they are encouraged to be mixologists, even if just for the evening! Brew several simple syrup base and put it in a carafe or pitcher. Add one herb to each base. We suggest lavender, sage, mint, or cilantro. Allow this mixture to sit over night. Put out your spirits of choice! Gin, tequila,rum or vodka are perfect as they are clear, or soda water for a non alcoholic approach. Select, pour, create and mix! Voila! I've attached an image and a DIRECT LINK here to this brilliant, fun and somewhat healthy approach to a summer beverage! A variation on the traditional is always a game changer too! Take the traditional margarita for example: Tequila, Cointreau, lime juice, fill with ice, shake, rim with salt. (not in that order) now take the Paloma for instance: tequila, grapefruit juice, sugar, lime juice and topped off with club soda. These classic cocktails are a perfect summer beverage for a hot night out back, but why not mix it up! Take that basic margarita and add a hint of jalapeno to it! You've got yourself an entirely new drink! Visit The Margarita Mum for innovative recipes on your classic favorites. She will not disappoint! However you decide to entertain this summer, we hope we get an invite!